Australian fishermen discover the 1.8-meter long animal. The species can weigh up to 2.5 tons. 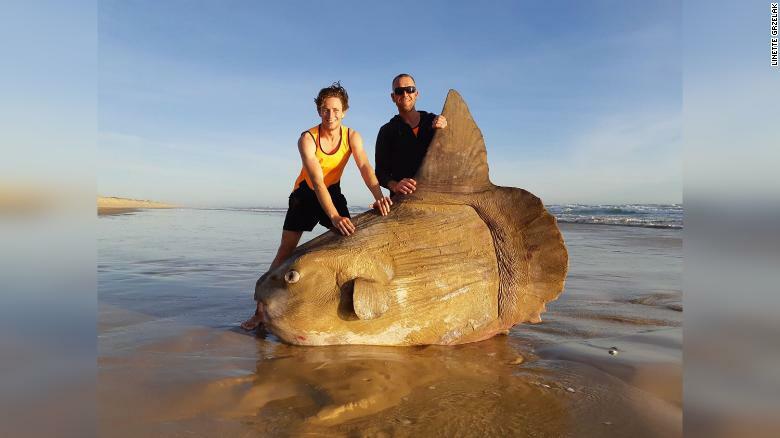 Sunfish was a rare find: at the mouth of the Murray River in Australia, a gigantic sunfish washed up. Two fishermen found the rare specimen. They first thought it was an old shipwreck, one of them said in an interview. According to “National Geographic”, such sunfish, also known as Mola Mola, which is among the largest bony fish in the world, can weigh up to 2.5 tons. According to the South Australian Museum, the fish that has been washed up is rather small for its species: “They can grow much larger, up to twice as big,” said spokesman Ralph Foster, responsible for the museum’s fish collection, to ABC , In the South Australian waters, there are three such species, the now washed up fish are among the rarest species.